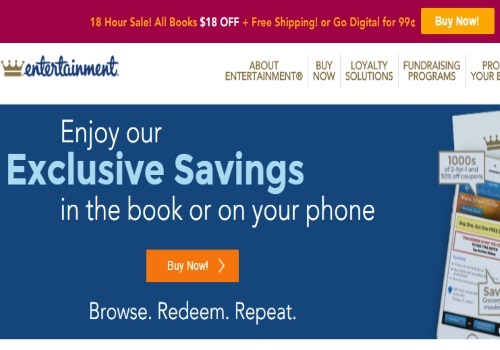 Entertainment is having a Flash Sale on now on their Coupon Books with some exclusive savings! Save $18 off the 2016 Coupon Books plus get Free Shipping (or go digital for $0.99). Offer ends March 9 2016. Some cities are already sold out, so be sure to get yours soon! Click here to browse Entertainment.